The pages of history reveal the grave suffering of humanity written on many faces and etched in many hearts. Taking on different forms and found in different places, confronting and understanding the place and meaning of suffering is a tremendous task that presents itself to each of us. St. Paul tells us, “If one part suffers, all the parts suffer with it; if one part is honored, all the parts share its joy.” As members of the one Body of Christ, we carry with us the full extent of human suffering and are called, with God’s help, to transform it into joy! 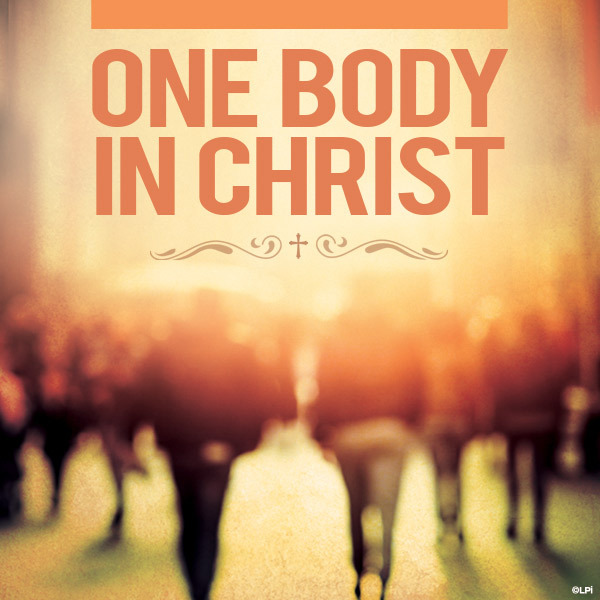 The Body of Christ, and by extension humanity in general, has to have all of the members working in proper order. Each must function in their own unique way in order for the greater whole to work. We cannot simply step over or set aside those who suffer or escape the peril and uncertainty of it ourselves. We need to look it square in the eye and become involved with the experience. However, we tend to fear our darkness and avoid encountering it at all costs. Yet, when we do, we find not only a new depth and dimension of being ourselves, but are able to be a consoling leaven for others who are in the same place. As heart-wrenching as suffering is, sharing it with another softens its burden. Of all of the biblical passages Jesus could have chosen to read, he read the one from Isaiah. “The Spirit of the Lord is upon me, because he has anointed me to bring glad tidings to the poor. He has sent me to proclaim liberty to captives and recovery of sight to the blind, to let the oppressed go free and to proclaim a year acceptable to the Lord.” The very life and mission of Jesus was focused on encountering suffering and being with those who suffer, patiently enduring the pain, holding fast to one’s faith in God, and allowing God’s transformational wonders to bring hope and healing. By our baptism, we have “put on Christ” and are called to that same life and mission. The human condition, with all of its messiness, irregularities, sinfulness, imperfection, brokenness, suffering, and conflicting ideologies, is our condition. It is also the condition into which God was born. There is room for everyone. This is how God designed things in the first place. Our world is filled with division, and that division causes suffering. The road is rocky and the path uncertain. Even the person of faith often has difficulty truly seeing. Thomas Merton prayed it well, “My Lord God, I have no idea where I am going. I do not see the road ahead of me. I cannot know for certain where it will end. Nor do I really know myself and the fact that I think I am following your will does not mean that I am actually doing so.” Forging onward, we do the best we can with what we have. We need to trust that we are guided and being led by a God who desires nothing more than to bring us to a place of wholeness. How do I help create a world that expresses and pursues the justice spoken about through the prophet Isaiah? There is still great division and discord that exist in almost every corner of our world. This division and discord lead to greater pain, alienation, and suffering. The establishment of Isaiah’s vision and God’s desire begins when we focus on basic teachings to which Jesus calls us: love God with all your heart, mind, and soul … love your enemies … do good to those who hurt you … do not judge. Applying these simple principles does not mean that we advocate a relativistic free-for-all where every belief and action, regardless of whether it has a true moral compass, is appropriate. There are definite principles, moral and ethical mores, and appropriate codes of behavior to follow. By example, even though Jesus did not condemn the woman caught in adultery, he did not baptize the behavior either! It all may sound a bit trite, but manifesting God’s vision simply involves an attentiveness to the joys, pains, and sufferings of our brothers and sisters. We need to be sure that everyone has a place and is treated with respect and kindness. We need to learn the art of listening. We must cease using the “mine and yours” dichotomy and begin to speak in terms of “ours and God’s”. Militant negativity has no place in the healing process, and issuing forth sharp condemnations only further promotes division. Leading people to God and truth is a process that takes great time and patience. Its success is due not necessarily to the words that come out of our mouths but what is witnessed by the example of our lives.